I always wanted to be a "Big Gun" station. Does this count? 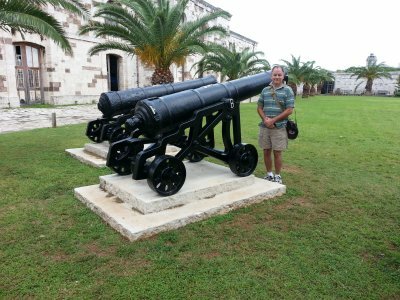 Photo taken at the Royal Navy Dockyard, Bermuda. My wife and I had a wonderful time in Bermuda. 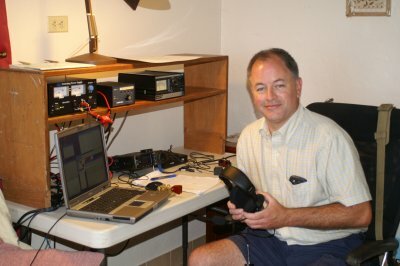 This was our first visit, about 70% vacation and 30% Ham Radio. Thanks to Ed VP9GE for the hospitality, and to all the stations worked. Those thinking of visiting, you'll find that the bus and ferry service on the island is excellent and affordable. There is plenty to do for the "regular" tourist, so if you come, consider bringing your family and making a holiday of it.